In the early 1980’s Richard Stallman founded the Free Software Foundation (FSF): a socio-technological movement that revolutionized the software world. In this episode, we’ll hear Stallman himself talking about the roots of the movement, and learn of its early struggles. 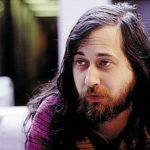 A big Thank You to Richard Stallman for appearing in the episode. If you support Free Software, please donate to the Free Software Foundation.